Whether it's DiCaprio being cast to play your cultural icon, or an American mass shooter being foisted upon you, it's not easy being an Afghan; especially when others define your Afghan identity for you, writes Ali Latifi. Kabul – Rumi and Omar Mateen. They couldn’t be more different. One is a 13th century poet born in Balkh, Afghanistan, known the world over as a source of literary and spiritual inspiration to millions. The other was a mass murderer born and raised in the United States, to Afghan parents, whose brazen attack on a Florida nightclub has reignited debates around gun violence and homophobia in the United States. In an odd twist, though, both Rumi and Mateen have been at the forefront of debates in recent weeks around Afghan identity, namely who gets to be called an ‘Afghan’ and who decides what defines someone as an Afghan. While Hollywood, and reportedly the governments of Iran and Turkey, are trying to take the Sufi mystic from us, the US news media is trying to force the gun-toting, homophobic murderer on us. The debates began with the mystic. For the last several weeks, we Afghans have found ourselves having to repeatedly prove and re-prove that Jalal al-Din Mohammad Balkhi was indeed born in northern Afghanistan. Yes, he may have died in Konya, Turkey, but he was born in a simple mud-house, the remains of which can still be found in Balkh province. The debate was sparked by two back-to-back developments around the Maulana’s legacy. First came reports that Turkey (where he died) and Iran were trying to jointly register the Masnavi Ma’navi, Rumi’s 50,000-line masterpiece about attaining true love of God, as a joint national heritage with the United Nations Educational, Scientific, and Cultural Organization (UNESCO). As the man the world has come to know as Rumi spent the bulk of his life, including the period he authored some of his most important works, in Turkey, the Turks hold Rumi, whom they call ‘the Mevlana’, in especially high esteem. Iranians, for their part, believe that because Rumi wrote in the Persian language, he should be considered part of the cultural identity of Persia – what is now Iran. This seems to ignore the simple fact Afghanistan’s two most prominent languages — Pashto and Dari — are both Persian languages. On June 9, the Kabul government filed a formal appeal with UNESCO. Atta Mohammad Noor, the powerful acting provincial governor of Balkh, the province where Rumi was born, wrote a letter to Afghanistan’s permanent representative at the United Nations, expressing his own outrage at Tehran and Anqara’s attempts to claim Rumi. This was followed by equally disturbing reports that the Academy Award-winning screenwriter behind ‘Gladiator’ wanted to pen a biopic about Rumi, with Leonardo DiCaprio in the lead role. However, the announcement left Afghans online with a bitter taste. Not only was our icon being whitewashed, but there seemed to be little thought or consideration given by the film’s (white) screenwriter and producer to casting an Afghan actor to play one of the most important and beloved figures in Afghan history and culture. 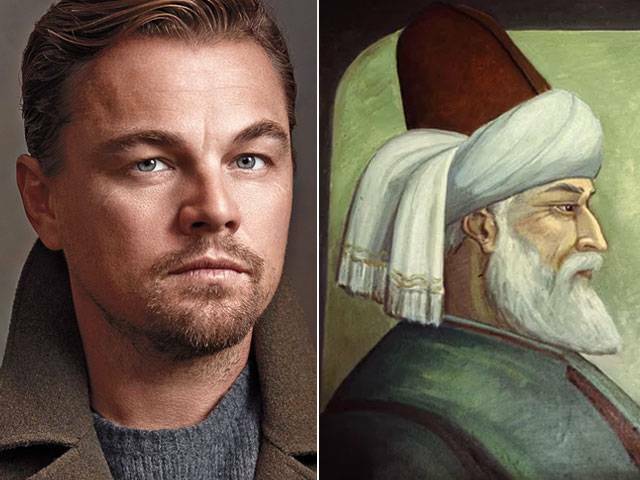 Instead, the Sufi mystic who wrote devotionals to God could be played by a man known for portraying one half of a tragic under-aged Shakespearean couple and a fictitious drifter who drowned aboard the Titanic. A possibility that could, once again, deny millions of Afghan boys and girls the opportunity to see someone who looks like them, who speaks in their accent, playing the man whose words and wisdom has shaped their lives. And yet, the ink had barely dried on the many thinkpieces and news stories on the attempted appropriation of Rumi by Ankara, Tehran and Hollywood, when Afghans were struck by another, even more shocking, development. 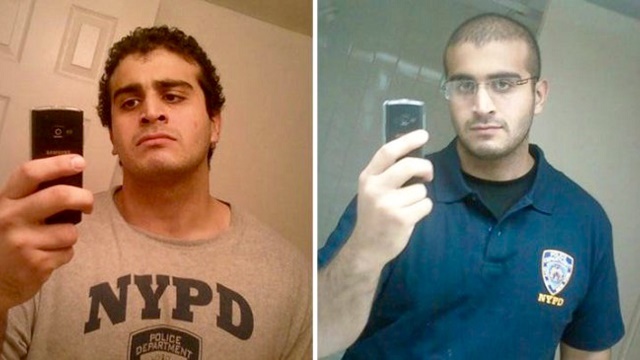 Last week, the lone wolf killer who had shot dead dozens of people at a gay nightclub in Orlando, Florida had been identified as Omar Mir Seddique Mateen. As soon as his name was released to the public, the entire narrative around the New York-born, Queens-raised 29-year-old father changed. The Daily Beast even compared his killing of 49 people to the 9/11 attack. Soon, the news reports began to focus on Mateen’s history of violence towards his wife, his own unsubstantiated statements that he was affiliated with any number of “terrorist” organizations – including the Islamic State, the al-Nusra Front and Hezbollah. Most importantly, like the Tzarnaev brothers before him, Mateen had his American-ness taken from him. Whereas the Tzarnaevs were constantly referred to as “naturalized US citizens” by the news media — as if to delineate that their status as citizens was somehow less legitimate – Mateen, born and raised in the United States, simply became an Afghan. When former Afghan President Hamid Karzai — who happened to be in the US for the funeral of Muhammad Ali — was interviewed by CNN’s Wolf Blitzer shortly after Mateen’s identity was revealed, he found himself in the awkward position of being questioned about a mass shooting – the 173rd so far this year in the United States – committed by a US citizen. Karzai responded the only way he knew how; by stating the obvious. “Well, he was born and raised in the United States,” he told a chastened Blitzer. Still, the media tried to press Mateen on us, desperately seeking out clues to who he “really” was not in the country where he was born and raised, but in a land thousands of miles away – a place he had never been to. Unwilling to let facts get in the way, news stories were written about the supposed flippancy of the Afghan people to explain the actions of a US citizen who committed a patently American crime, a man whose parents happened to be Afghan (a detail of Mateen’s life that was treated as if the journalists had somehow stumbled upon some great revelation). Compare this with the reaction to the shooting a week ago of British MP Jo Cox by Thomas Mair. The 52-year-old Briton – whose motives have somehow yet to be intrinsically tied to his Britishness – has been widely described in the UK media as a “quiet man;” a “polite,” “reserved” “loner” who volunteered to help his neighbours. In short, not a terrorist. Although there is now evidence of Mair’s interest in materials produced by white supremacist and pro-Apartheid groups in the US and the UK, the news media has not jumped to conclusions about him the way they did with Mateen. Indeed, Mair’s mental health is still being investigated. Mateen is already a “domestic terrorist”, while Mair remains merely a “murder suspect.” Both men are technically Caucasian, yet only one is afforded the privilege and doubt that comes with whiteness. The fact is, little, if anything, of what Mateen did last week in Orlando had anything to do with his parents being from Afghanistan. Still, the media continued to look for non-existent clues in Afghanistan, rather than in New York or Florida, the two U.S. states where he had spent his entire life. The media even roped in the current Afghan President, Ashraf Ghani, into talking about Mateen; as if he, and not Barack Obama, was best placed to provide the key insight that would help understand the actions of a registered Democrat who had committed one of the worst mass shootings in contemporary US history. In a nearly 10-minute-long interview, Ghani had to explain that the actions of a single individual cannot define an entire culture. Meanwhile, hundreds of thousands of Afghans across the United States were utterly confounded as to why the Afghan president was compelled to turn up on CNN to explain the actions of a New York-born US citizen who’d committed a mass shooting — a phenomenon almost entirely unique to the United States — using an assault rifle bought in Florida. Still, there he was; trying to make sense of something that had nothing to do with him or his country, yet which he was somehow expected to explain. The Republican presidential candidate then went on to deploy this patent fallacy to further his xenophobic agenda against Muslims. He even went as far as to call for a ban on immigrants from Afghanistan -which Mateen was not (his parents, who had nothing to do with his crime, were) – as well as, for some reason, Pakistanis, who come from an entirely different nation to the South of Afghanistan. Though Trump’s rhetoric is nothing new, and his plans are unlikely to come to fruition, the episode shows the dangers of allowing for the Afghan identity to be defined by non-Afghans. We become faceless threats, a strange land ripe for any xenophobic leader to re-imagine and recast into some sort of violent haven for everything they see as the opposite of the “moral” and developed West. We become the ‘Orient’ once again. Gone is the mystic, and in his place are the murderer and the madman. And yet, the Maulana and Mateen are hardly the first attempts by the Western entertainment or media industries to define our Afghan identity for us. Before there was Omar Mateen, there was Osama Bin Laden. Though Bin Laden was born in Saudi Arabia, and died in a three-story mansion in Pakistan, the 24-hour coverage following the 9/11 attacks meant his name became synonymous with Afghanistan. A fallacy, which few, if any, non-Afghans had any interest in correcting. As the current foreign occupation of Afghanistan enters its 15th year, with no end in sight, the hijacking of our identity and the re-defining of our icons is especially dangerous. Last year, the United Nations documented the highest number of civilian casualties in the ongoing conflict in Afghanistan, yet until DiCaprio and Mateen came onto the scene, the nation barely registered a blip in the global discourse discourse recently. Even Hillary Clinton, the presumptive Democratic nominee, who made several trips to Afghanistan during her tenure as Secretary of State; and whose husband sent 75 cruise missiles into the Eastern province of Khost in 1998, barely uttered the nation’s name throughout the election. So long as our poetry and art are ignored – other than when invoking the Taliban’s destruction of the Buddhas of Bamiyan – it is easy for the world to see the 3,545 deaths and 7,457 injuries sustained as part of the conflict in 2015, not as human lives tragically lost, but as mere statistics. She’s right, of course, there will always be one more thing. However, at a time when the Bureau of Investigative Journalism calls Afghanistan “the most drone-bombed country in the world,” asserting our ability, and our right, to exert control over our own identity does matter. The more the world is able to see us as artists, poets and, yes, ordinary people trying to go on with our lives in the middle of a war that has been forced upon us by several sides, the less international (and local) media will be able to write-off drone victims as simply “militants” or “Taliban”, with little further thought or context. Indeed, just over a month ago David Cameron – who had himself been recently implicated in the Panama Papers scandal – called Afghanistan, a “fantastically corrupt” country. Some people, including a number of Afghans, might dismiss the outrage over attempts to deny Rumi’s Afghan-ness while simultaneously exaggerating that of Mateen, but these things matter. Representation matters. Identity matters. Self-determination matters. Today, it is Mateen who has become the main subject of conversation on the topic of Afghanistan, and not the 11,002 Afghans killed and injured this past year alone – including by forces that share ideals similar to the ones Mateen claimed to espouse. This is what happens when a people are denied control over their own identity; and this is why the Maulana and the murderer matter. Ali M Latifi is a Kabul-born, California-raised journalist. He has traveled to 10 Afghan provinces and reported on migrants in Greece and Turkey. He has also appeared on radio and TV in Washington, Doha, London and Cape Town. Follow him on twitter @alibomaye. People make assumptions when they should seek facts to be honest.